Yes, you can also turn your outdoor bench into a storage box! Benches serve a practical and a no-fuss purpose. You can sit on them and sometimes you use them to lie down, or perhaps they can be used as a table to put temporarily some things on them. 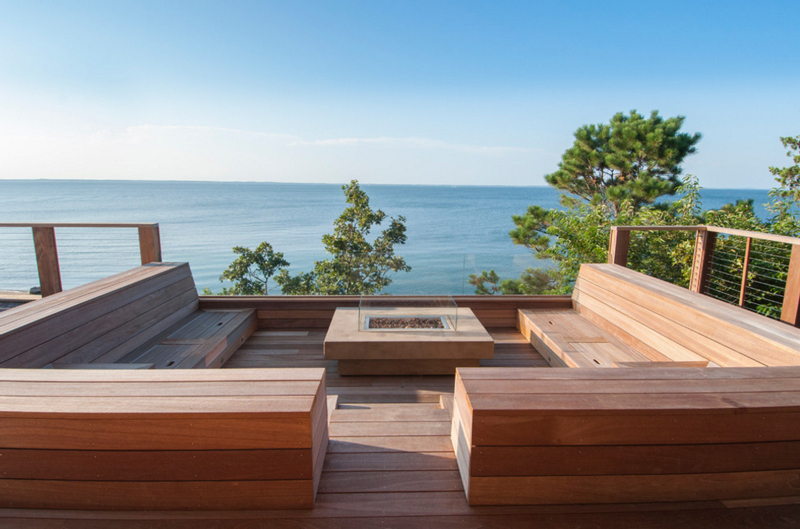 Outdoors, these benches are perfect spots to have a nightcap; or have a small campfire. However, these benches that will be featured today are not your ordinary benches. These are fully functional benches that serve another purpose: extra storage. 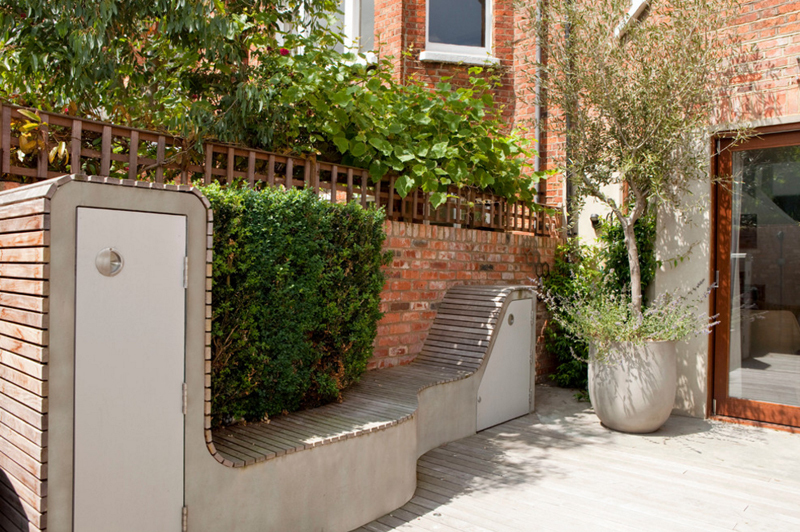 When you have things for the patio or the garden outside and wish to place them somewhere more accessible, these outdoor storage benches are simply perfect for the job. Here’s a collection of 20 gorgeous and functional storage benches that have successfully combined aesthetics and practicality into a furniture. These storage benches are situated nicely outside and perfect for relaxing when outdoors but also suitable for extra storage. These are not solely for sitting but are perfect for your tools needed outside, or stuff that have more purpose outdoors than indoors. 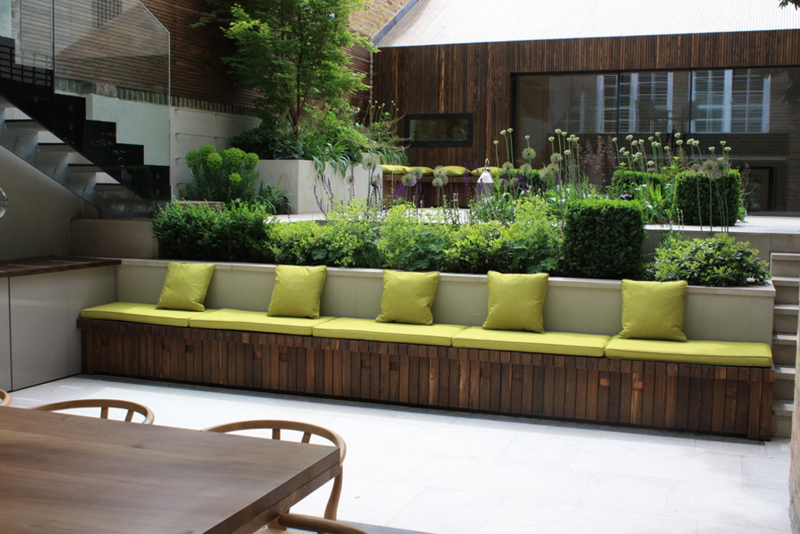 Take a look at how these storage benches are incorporated in the garden and patio and you may consider installing something similar in the future. 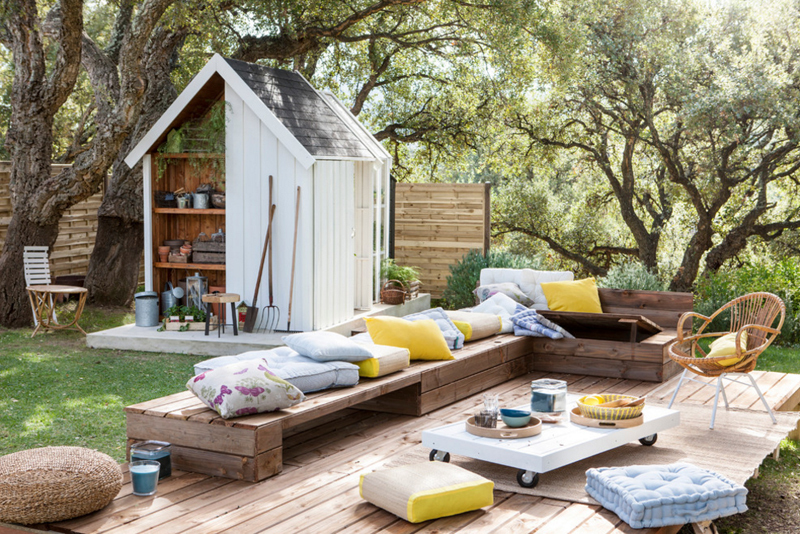 If you have a patio or porch and wish to have a mini garden as well, a storage bench outside is a perfect way to put your tools perhaps and of course if your bench is waterproof, why not include a book or two to read during lazy afternoons? Anyway, plants and books help take those blues away. This outdoor garden is majestic. The greens that fill a big part of the space are definitely refreshing. The storage bench in this home is stylish and not to mention, extra-long. The use of patterned pillows that are black and white serve as great accents to this space. 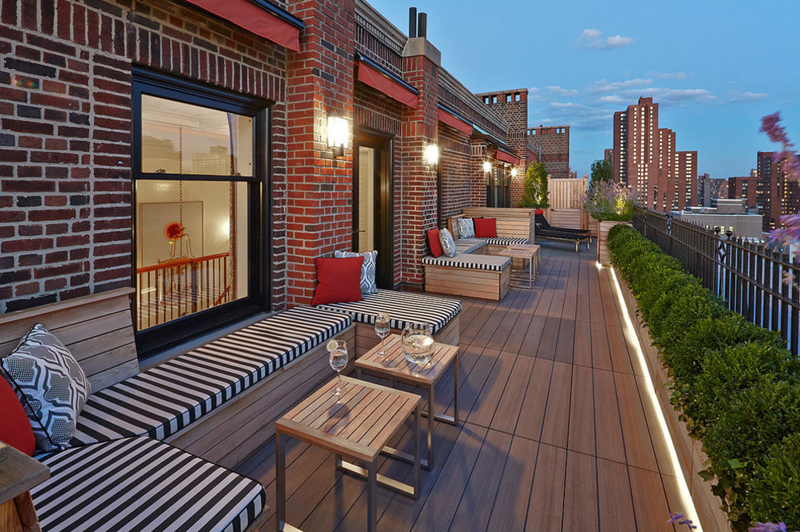 A roof deck like this one is a perfect space for chill night-outs, small s’mores camp fires, or bonding with family and friends. And so, having storage benches is a great idea! 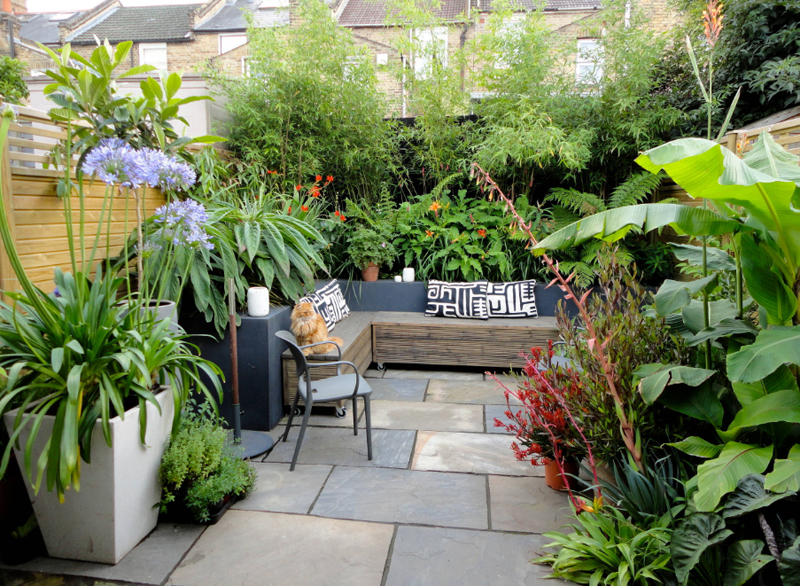 As usual, plants are perfect for outdoor spaces like this one and storage benches may really help you out in this case. 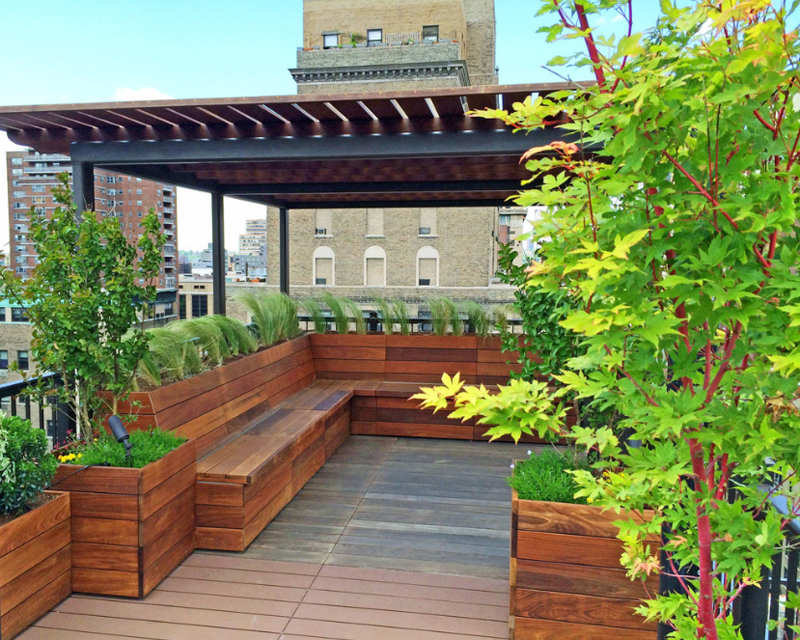 The brown wood panels used in this roof deck are a great shade of brown and the effect against the green plants is gorgeous. Greens outside make any home a lot cozier and it will make you feel more refreshed and of course, more oxygen is definitely better. 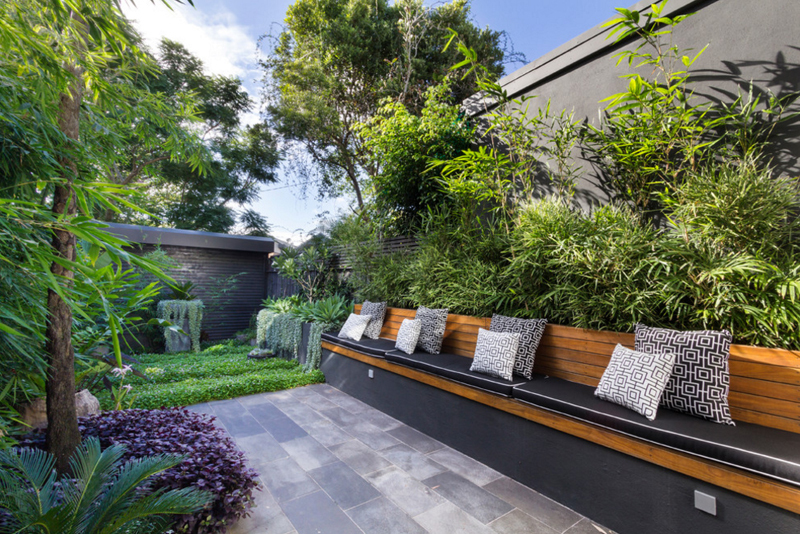 Having a bench outside the home for example in the garden is a good place to read or hang out. 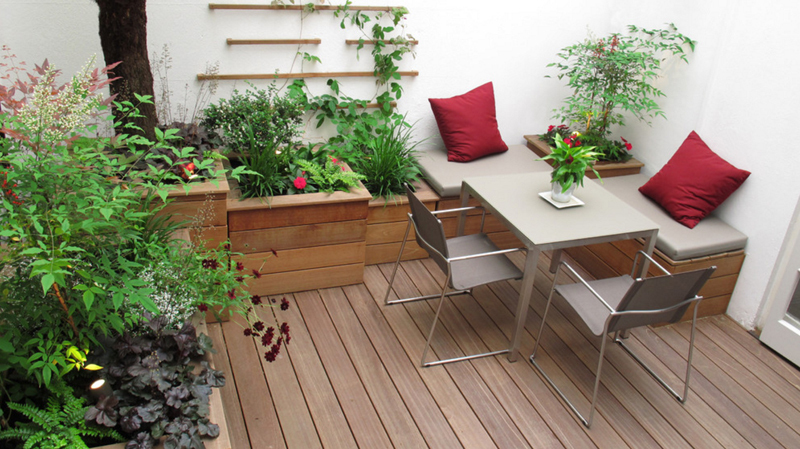 But having storage benches when you have a mini-garden outdoors takes the bench purpose to the next level. 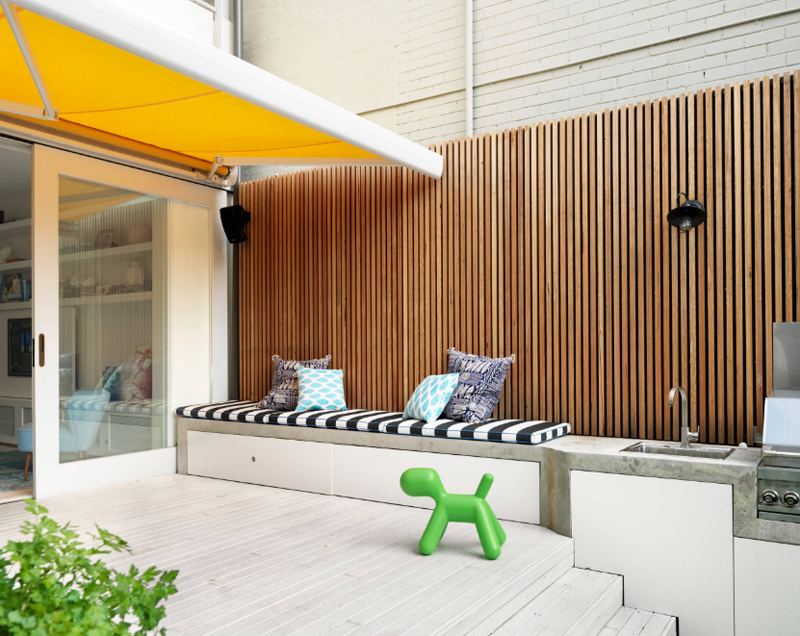 This outdoor spot in this home is absolutely gorgeous and topnotch! The chill spots are plenty and the use of decor works really well all throughout the area. 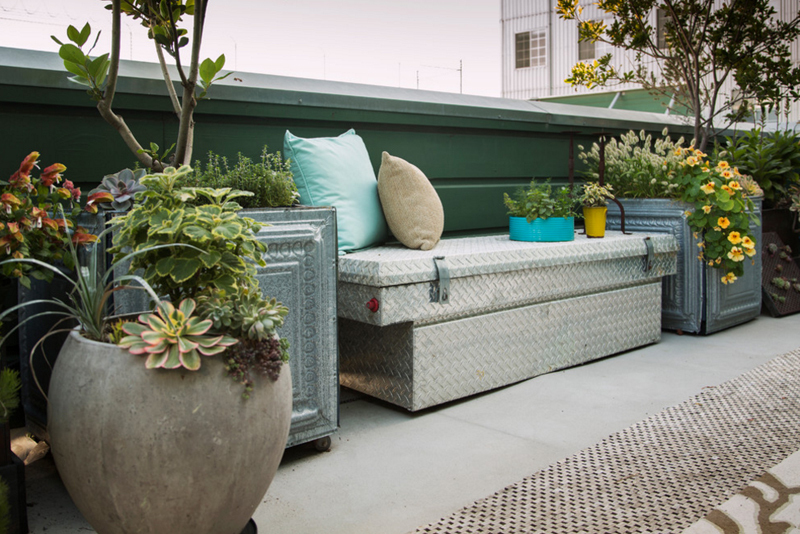 The storage bench is latched to the patio and it’s a great place to keep your pillows or linens that you use while you’re out. 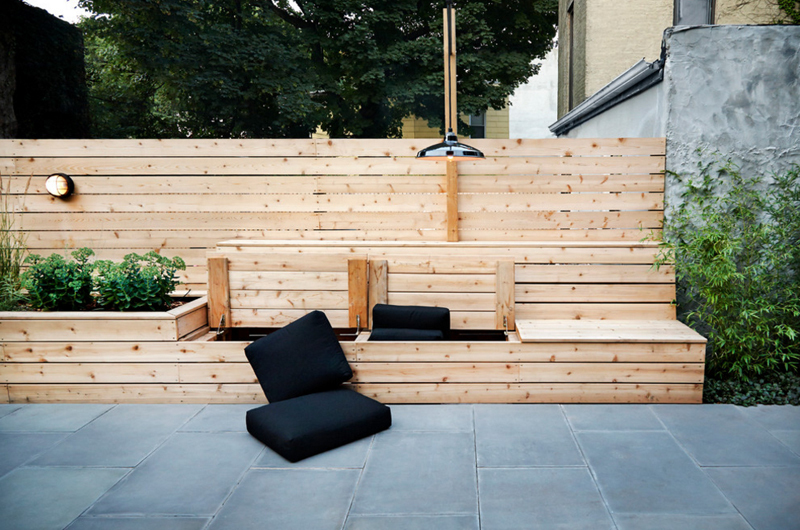 This seating area made entirely of wood sure looks plain and ordinary – but if the home owner starts maybe painting this one over or even just adding the cutest pillows ever and maybe even umbrellas, I think this space would look spectacular, especially at night. Seating areas like this one allow people to really hang out and chill while at home but away from the technologies of the world (or if that’s impossible), at least away from the stress of everyday living. We see only a tiny bit of the entire space, but in this one, we can see that the chairs also serve as drawers for things that needs to kept when this place is basically not in use. I love how playful this space was actually portrayed as. Staging is key in presenting one’s space to look entirely pretty for people to see. This open space shows us the limitless possibilities that this space is capable of in the hand of the right person who would actually do the decorating. 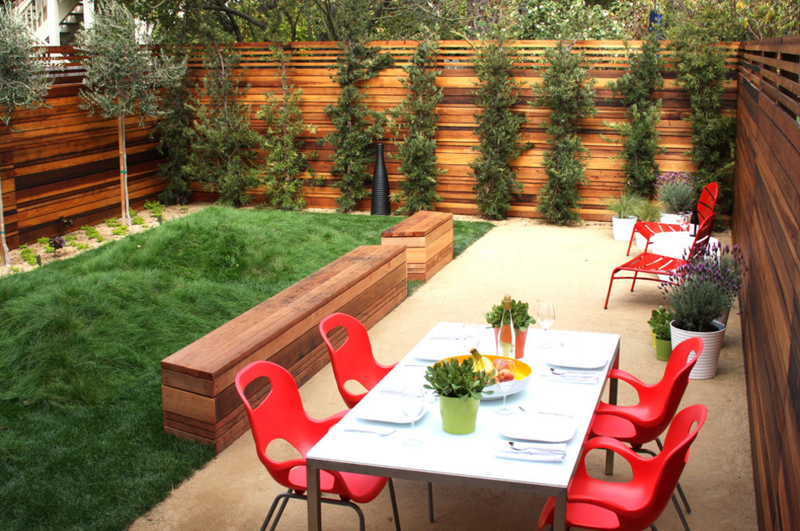 Wood fence and benches look incredible against all the greens added to this space. I am not really certain, but it is pretty safe to assume that the plants in this area were just added to it; this means that this space needs extra loving especially when dealing with the plants. I love the avocado green color of the pillows and the cushions used to accent the wooden storage bench in this beautiful outdoor space. The plants on the background add a bit more Earth and love to this space made mostly from concrete. 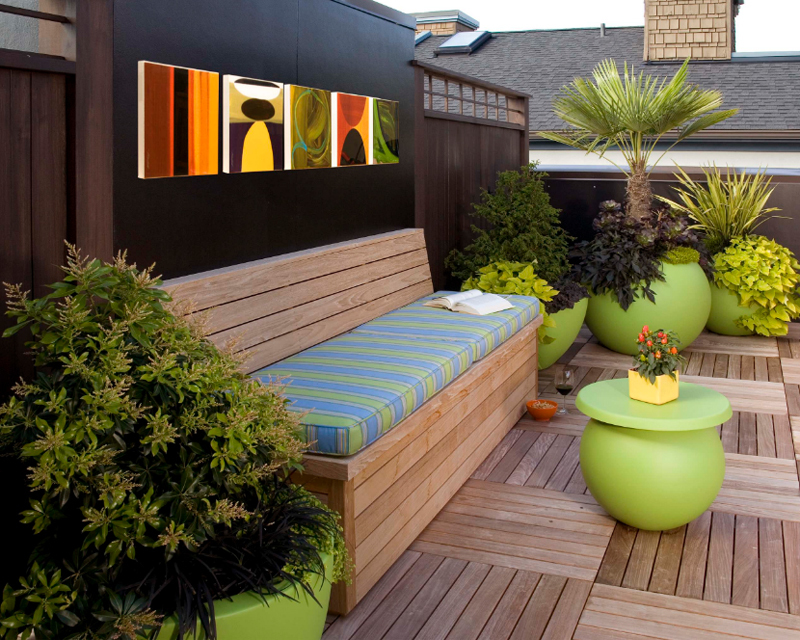 Notice how much greens are used to accent with all the wooden furniture used outdoors? Well, aside from them going great together, I think it makes the outdoor spaces a bit closer to Mother Nature when they actually do it. This color combination would never lose its sparkle for people who really loves the outdoors. This might be a minimal space for get-togethers, but I think that this space looks incredible and beyond words for a small space decorated for hanging out and spending time with our loved ones and friends. 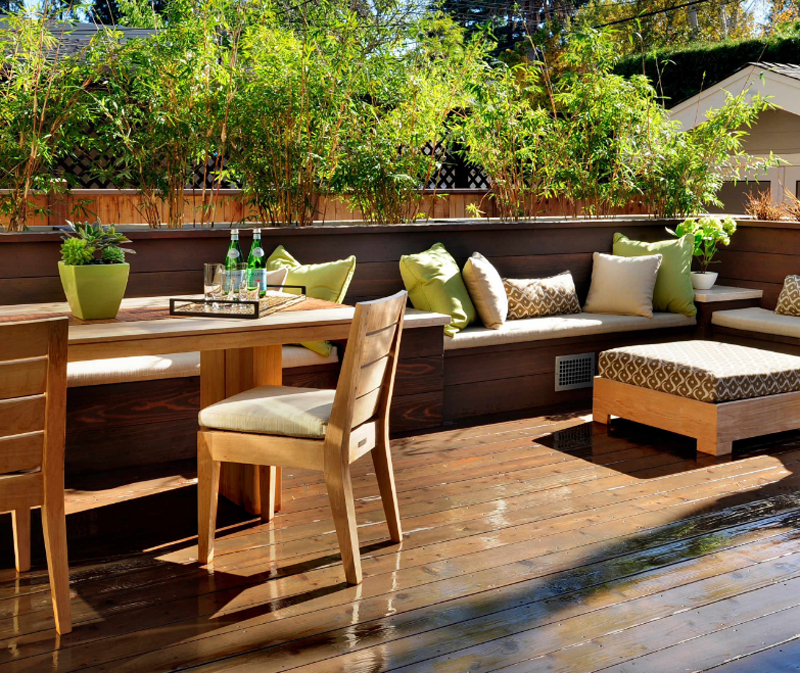 I love how much wood area used in this list and how stunning each piece of furniture is; example is this beautiful outdoor space where I am sure that the home owners are able to spend their time on – they made sure that this space looks incredible for it to actually be inviting them over all the times. Pretty awesome, actually. This might be one of the first photos that I have collected for this list and I got pretty much excited when I actually saw this and most of the photos on this list because of how lovely, cool and interesting each one was actually. Don’t you actually think so? 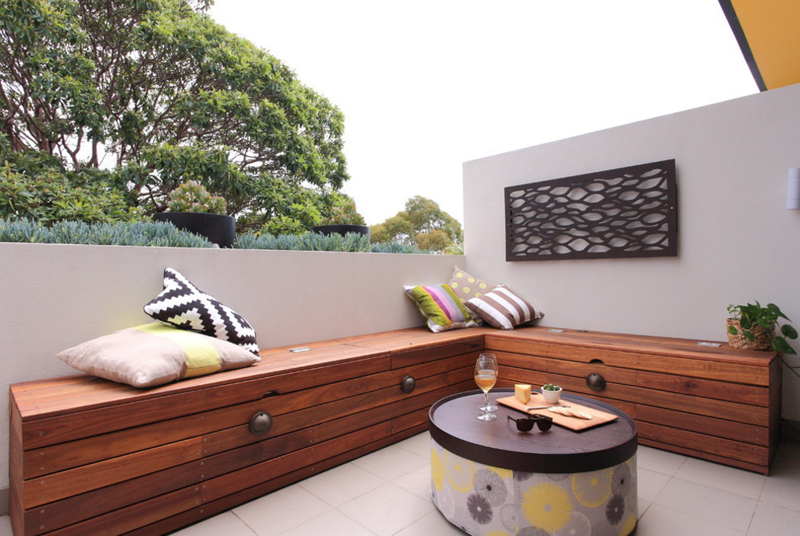 This wooden sectional outdoor bench may smaller or shorter than some of the ones on this list, but I think that it looks incredible in this photo. The contrast on the color of the bench and then wall and then the flooring is just way to perfect to ignore. I am not entirely sure if the long bench in this photo is actually made from metal or from concrete – but, whatever it is though, I think adding a black and white cushion made it look cooler. With the toy dog on the side, it’s safe to assume that a kid lives in this house. 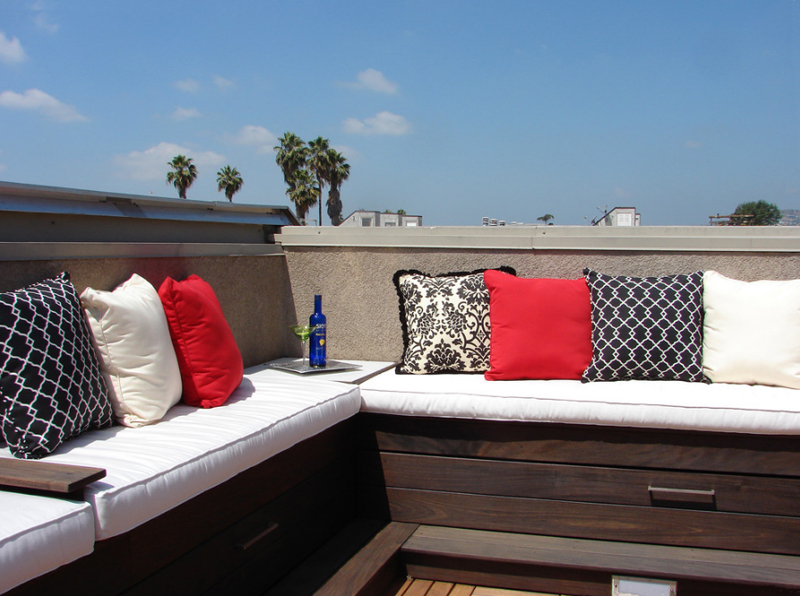 Here is another black and white cushion used to pair with the wooden benches that are present in this balcony. I love the fact that this house has brick walls and wooden planks for flooring in the balcony. Reminds me of some shows or movies that have sets like this one. Totally lovely! 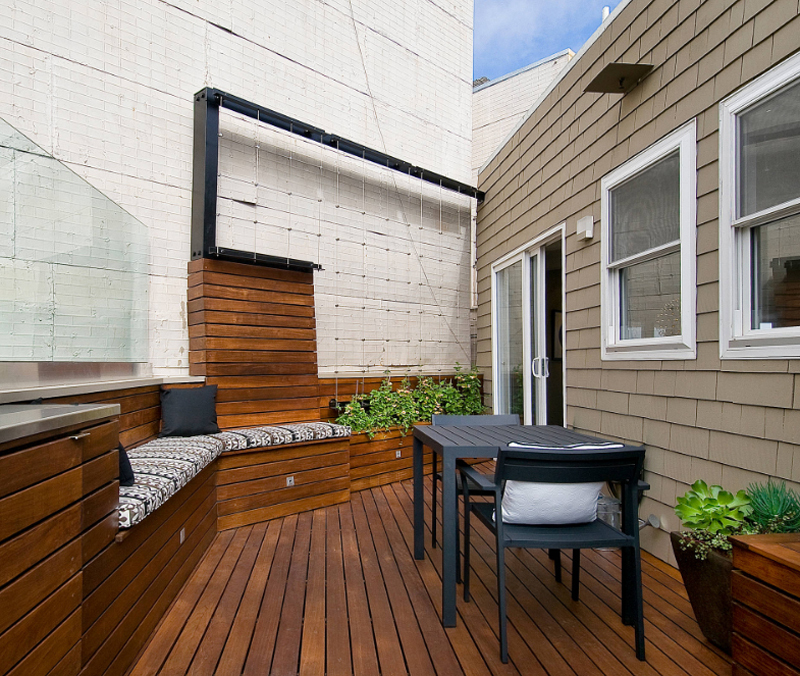 Another outdoor space in an urban home that used wooden planks for the flooring, the seating and even part of the wall. It sure is interesting to see spaces as beautiful as this whenever I feel like wanting inspiration for a whole bunch of stuff. So, the bench is not entirely the storage but it has drawers that are pretty much connected to the bench that most likely stores the many pillows that this lovely place have. Notice how gorgeous the sky is? If that’s how it looks every day, I think the people living here would be happiest. 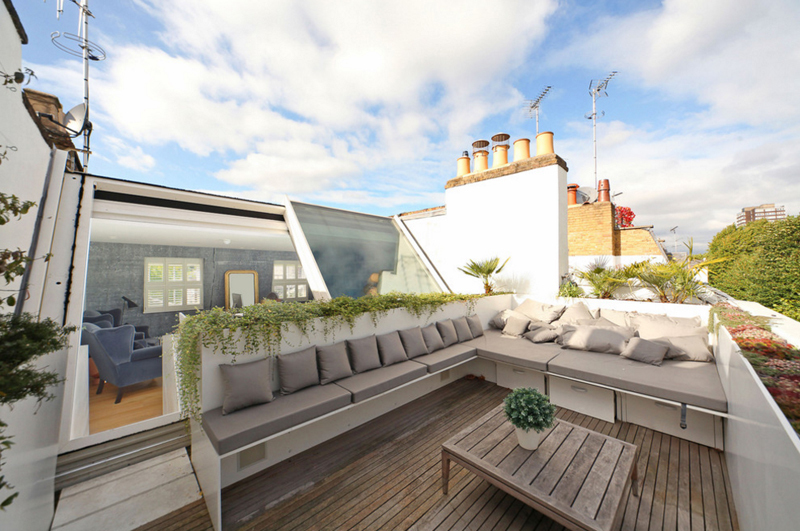 Last on this list is this sort of weird seating added to the space for times when you just want to hang out outdoors. This cool seating is equipped with two cabinets added to it on the ends of the seat – pretty cool, right? I had so much fun creating this list for you guys, I think that the other list about the Storage Benches in 20 Beautiful Bathrooms is a quick inspiration list for you guys when you think that you actually need one. These storage benches are real nice because they add seating to your spaces while giving you storage – dual purpose, or multi-purpose for that matter is always awesome!